Help your child enjoy reading! This app captures the excitement and helps students better understand A Series of Unfortunate Events(TM). 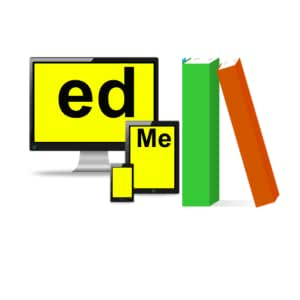 edMe Reading Companion apps use proven reading instruction to help your student get the most out of the books they choose to read. This app asks students questions that reinforce the main idea of each chapter as well as important details for understanding A Series of Unfortunate Events(TM). The primary goal is to help improve reading skills while engaging in one of the most exciting book series around. This lightweight companion helps students look for evidence and draw conclusions based on evidence - a skill critical across the educational spectrum. We hope you enjoy buying, renting, or borrowing A Series of Unfortunate Events(TM), and keep your phone or tablet handy to get smarter while enjoying this amazing book.